Maybe you grew up sending family holiday cards to all your neighbors and extended family. Maybe you didn’t. Nowadays, in a world where everyone is overwhelmed by emails, sending a holiday (or annual) card from you and your business not only makes you stand out, it makes you feel like family. People across the world love holiday cards. Imagine your business posted on display amongst your clients’ family and friends. That’s just what sending a holiday card through SendOutCards will do for your business, and your year to come will thank you for it. HERE ARE FIVE REASONS WHY YOU NEED TO SEND A CARD THIS HOLIDAY SEASON. It’ll generate goodwill. It’s a great way to connect by showing appreciation to your clients, vendors and other contacts in a non-salesy way. To build a more personal relationship. When your customers get a holiday card straight from you and not your company or brand. It strengthens the human connection at the same time building your brand and relationship and keeps you top of mind. It can market your services. 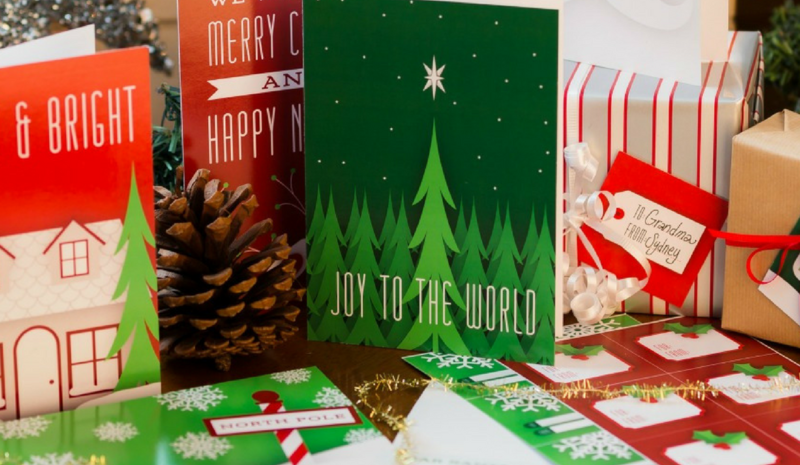 Sending holiday cards to all your old or “dead” clients can help you revive your business. It reminds people you’re still around and prompts them to check in on your business… And even work with you again. It’s a gratitude gesture. Thankful for your clients, customers, and friends? With a holiday card, you can say “thanks” for help, business or other positive points. You can’t delete a card from your mailbox. When it comes to holiday text or emails, they are overlooked and deleted. However, people always open and appreciate a tangible touch. If you would like to learn more about how quickly you can send out your holiday cards for less than $2 per card, you can call or text me at 603.785.8415. I’ll answer all your questions and help you make an amazing impression on all your clients, friends and family! Happy Holidays from Marketing Ally!